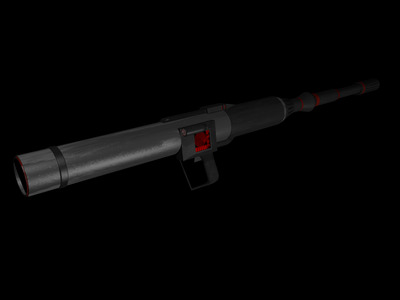 Developed and sold by the now defunct Merr-Sonn Munitions at the height of the Clone Wars, the RPS-6 is a six cylinder rocket launcher for use against vehicles. Though purchased by both the Confederacy of Independent Systems and the Galactic Republic, it was most frequently employed by the Clone Trooper heavy weapon specialists of the Galactic Republic. Mainly used as an anti-vehicle weapon, the RPS-6 could also be employed against droid infantry, descending airships, and minor shields. However, as rocket shells were not always plentiful, they were best saved for more valuable targets, such as hover tanks. As the war ended, the RPS-6 waned in production and use. Despite newer versions of the rocket launcher being produced, the RPS-6 is still bought and used by a variety of forces.